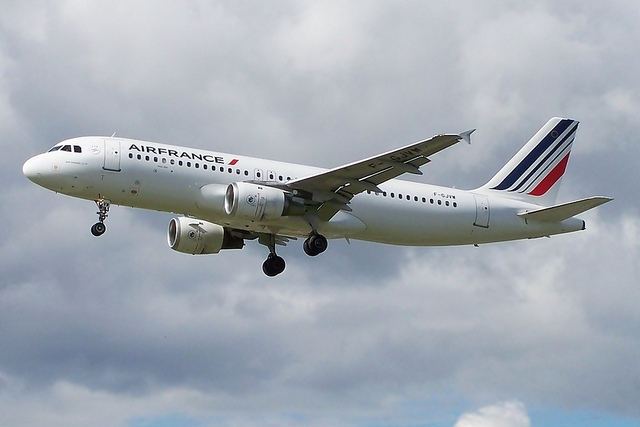 The Airbus A319, which had taken off from Paris Charles-de-Gaulle, was coming in to land last week as scheduled at Birmingham airport in England, before being forced to take off again due to hurricane-strength winds. A video of the event, posted on YouTube, shows the plane being buffeted from side to side during its landing attempt, but continuing to try to land until the last moment. Just before touchdown, the plane appears to have been blown too far sideways to continue safely. At that point, it takes off again. The video was first released by flight website Flugsnug.com on Sunday September 23, and was even shown on US television news network CNN. The plane successfully landed 15 minutes later, in its second attempt. Storm Ali swept Northern Ireland - killing two people - mid last week, before moving on to Wales and the north of England, causing strong winds to be felt even in the Midlands. The event comes months after another plane reached headlines in France in similar circumstances. In February, a plane coming in to Toulouse-Blagnac airport also had to re-attempt its landing due to very strong winds; almost touching down once before taking off suddenly for a second time.